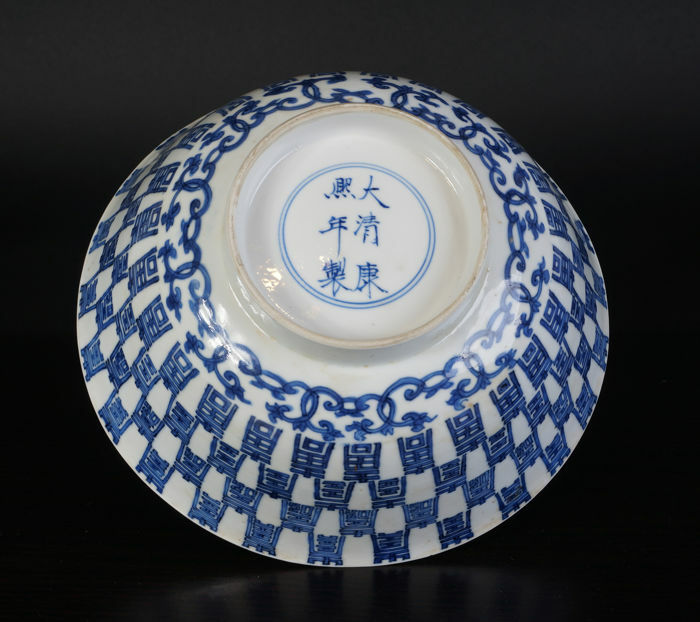 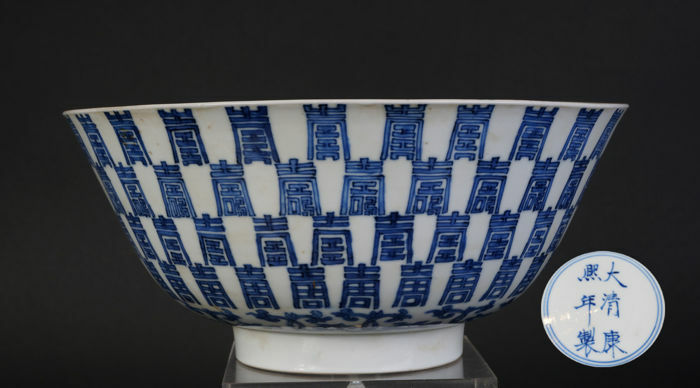 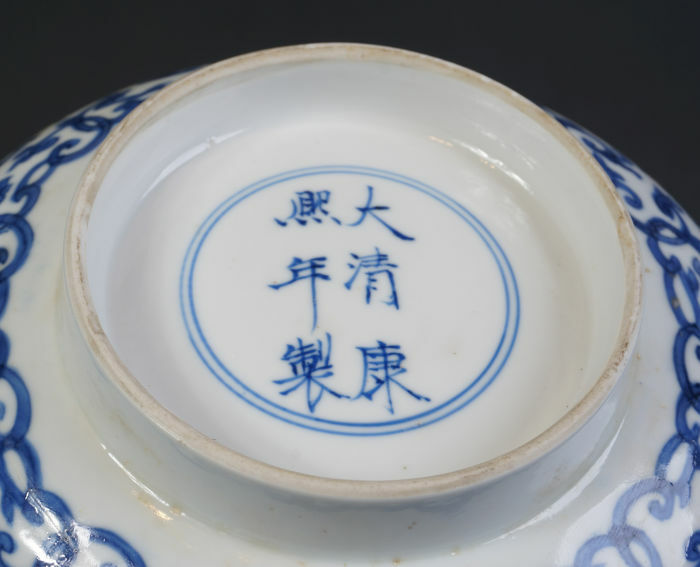 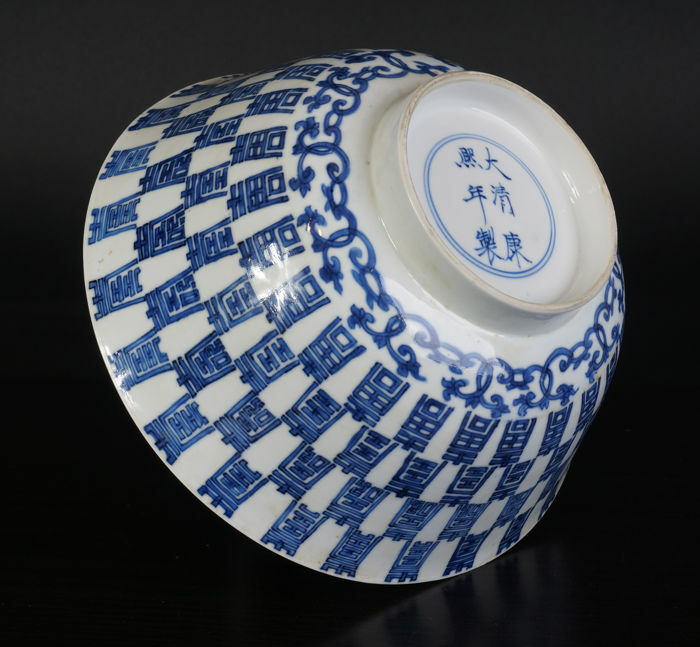 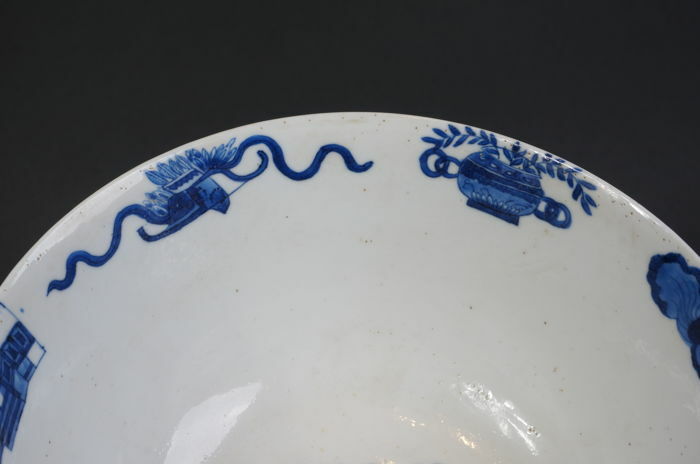 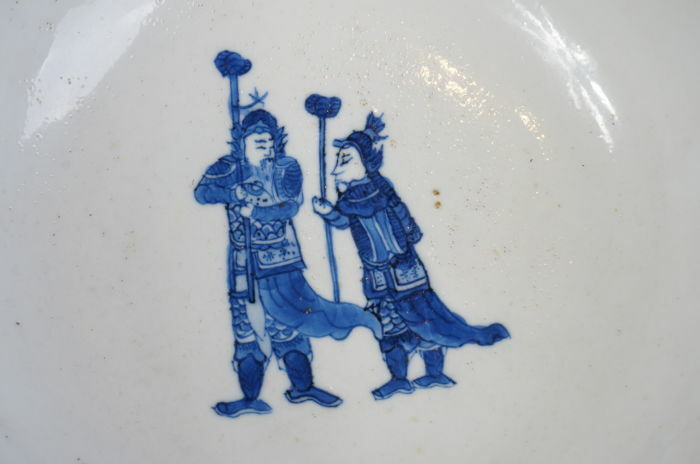 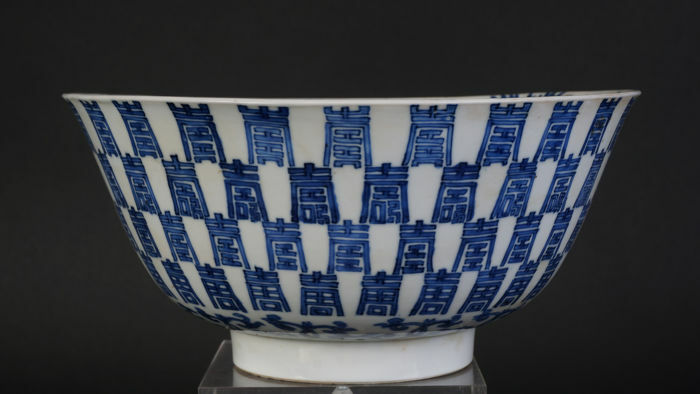 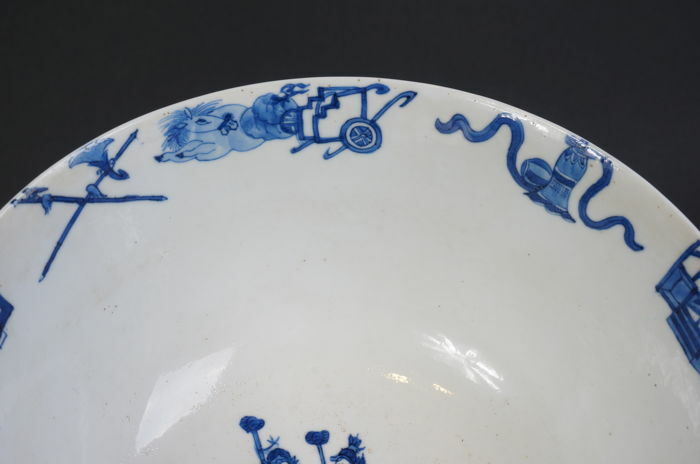 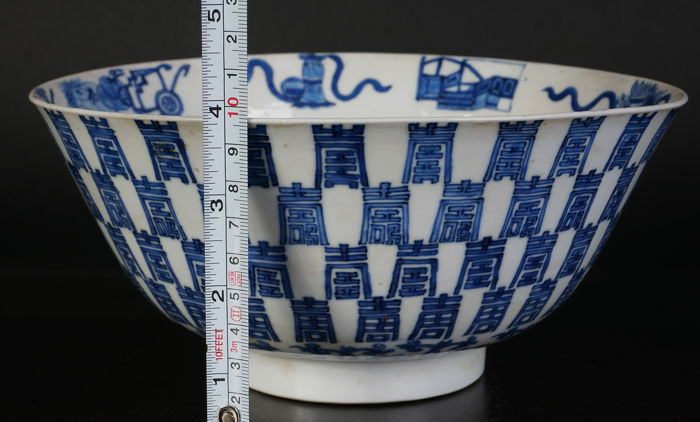 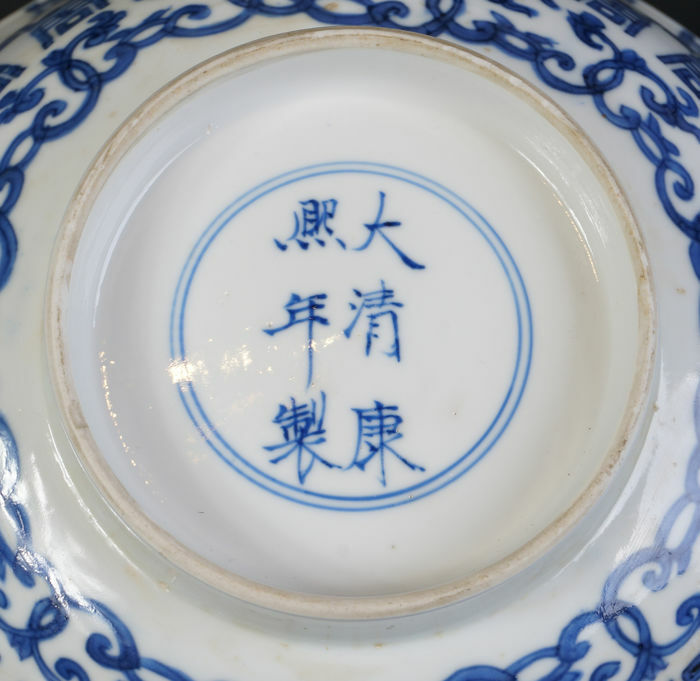 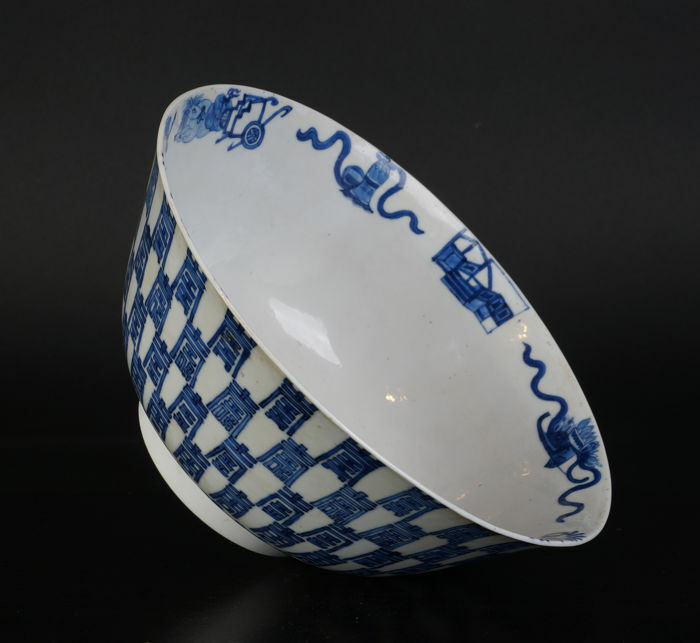 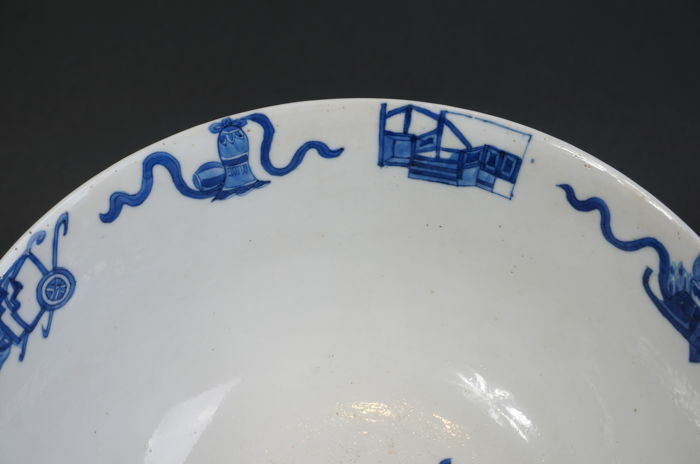 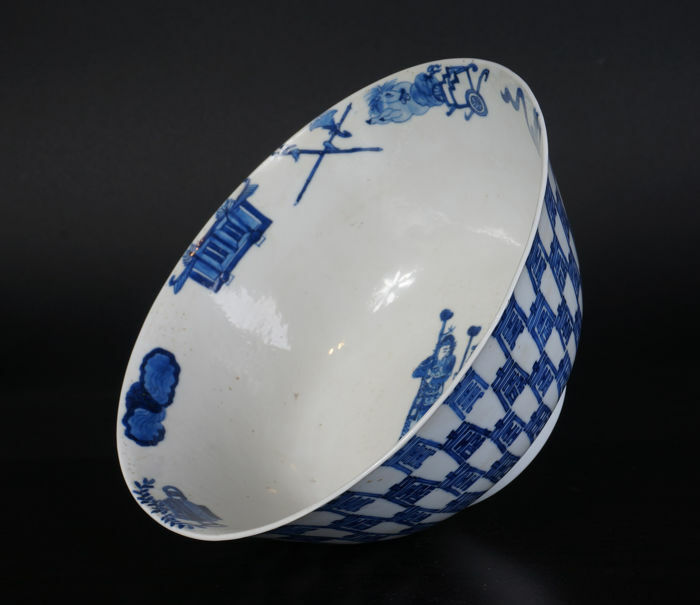 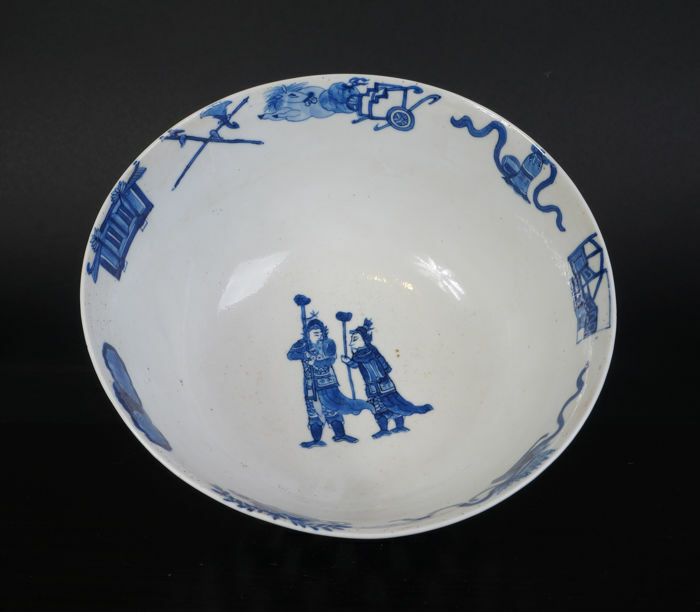 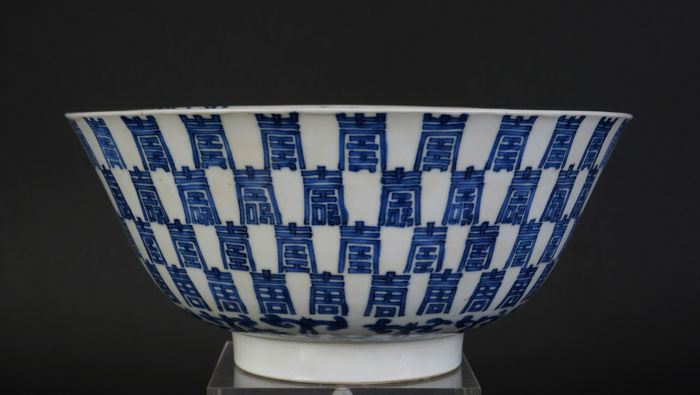 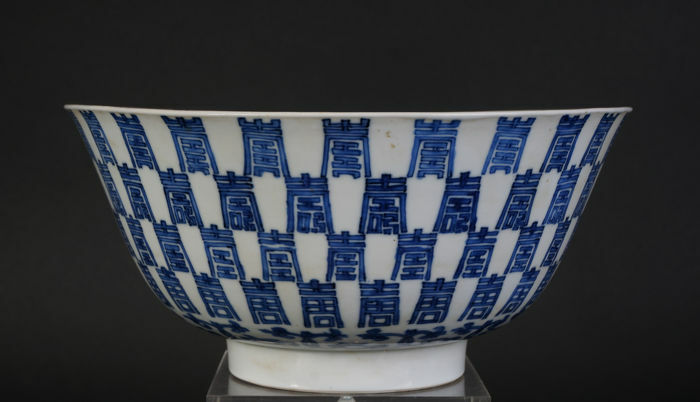 A very exclusive Chinese blue white porcelain bowl from the 17th century, Kangxi brand and period. 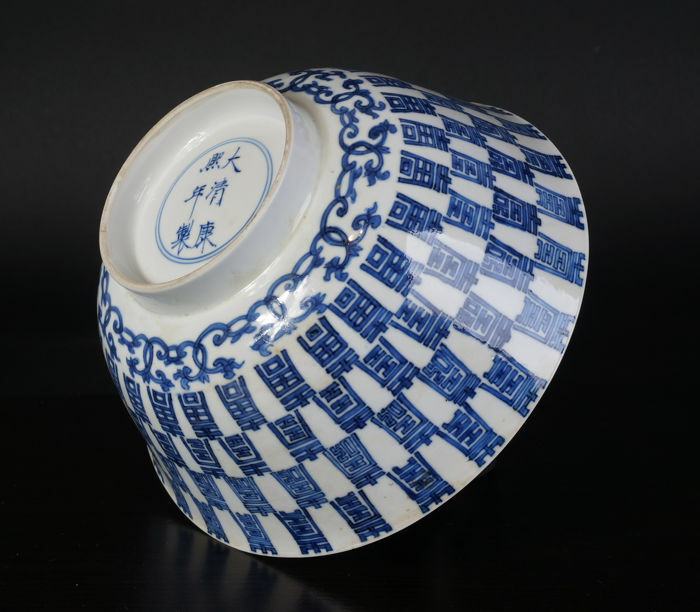 Wonderful deep Kangxi blue colour, decorated all around with "Wan Shou" character good luck wish bowl. 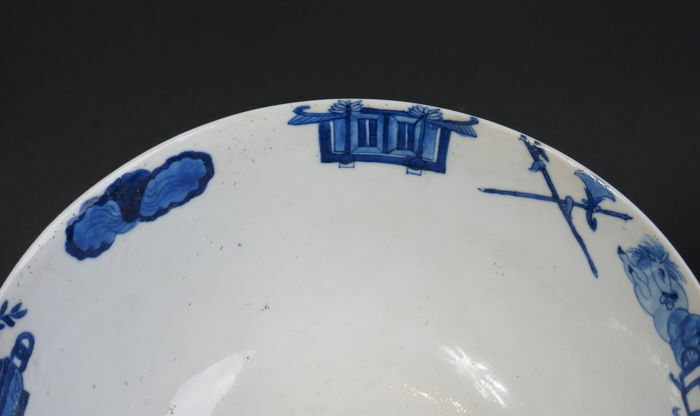 Inside decorated with treasures and 2 warriors. 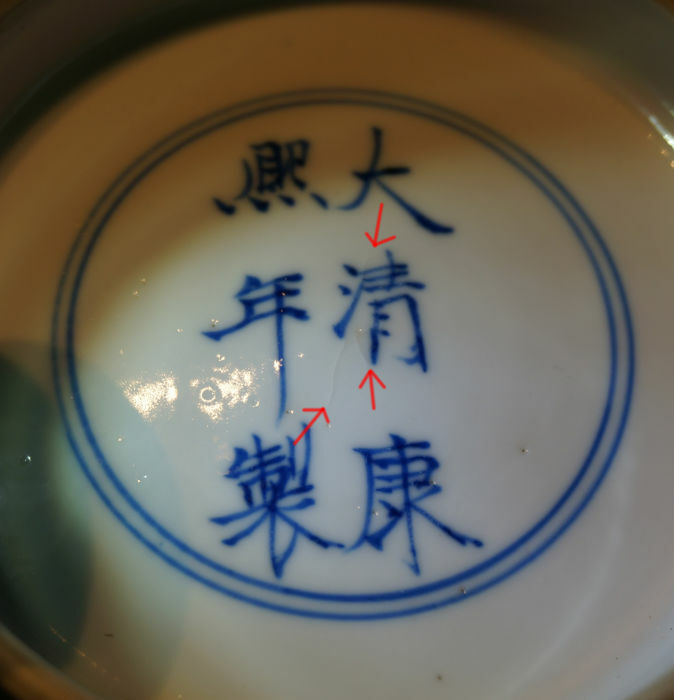 Bottom marked with Kangxi six-character mark and from the period. 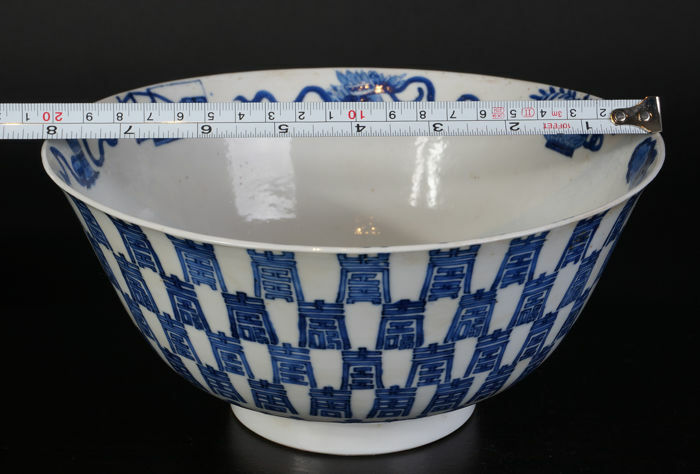 bowl is not entirely round, please see photos of the size. 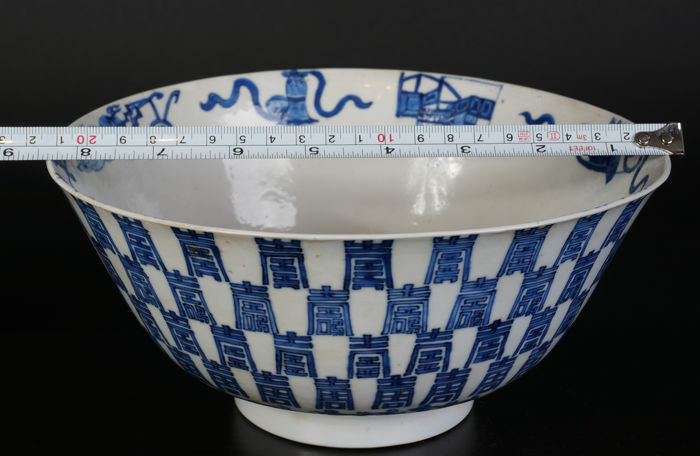 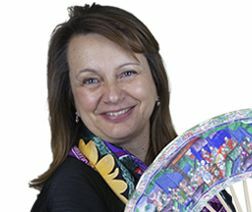 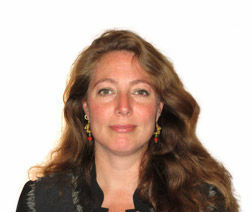 Sie können diesen Artikel auch beim Verkäufer abholen: Delft (), Niederlande.